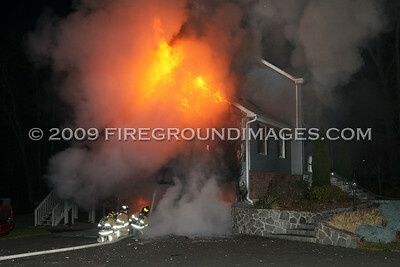 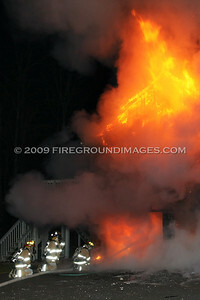 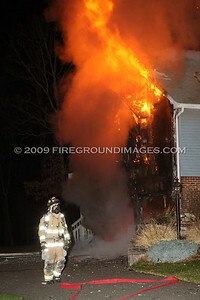 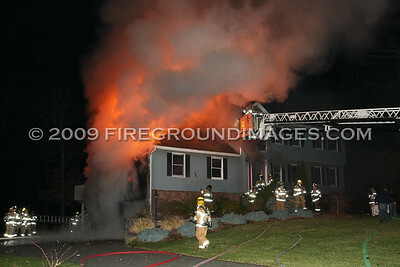 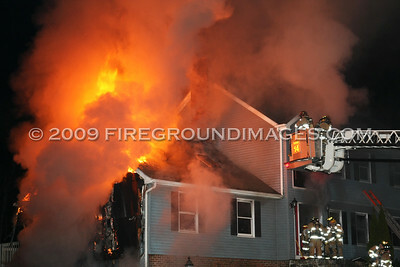 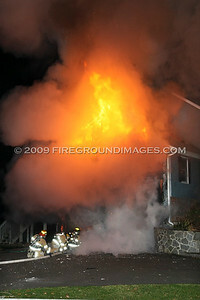 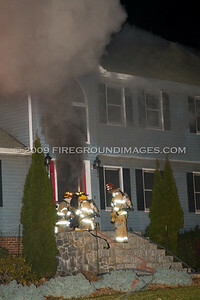 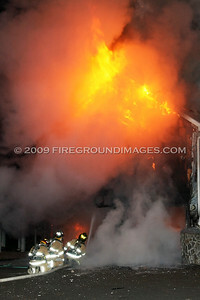 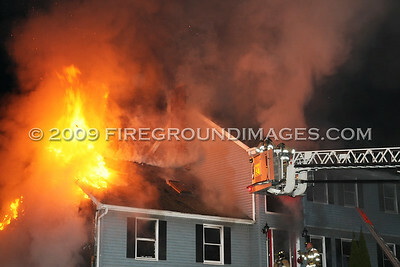 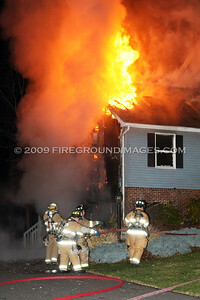 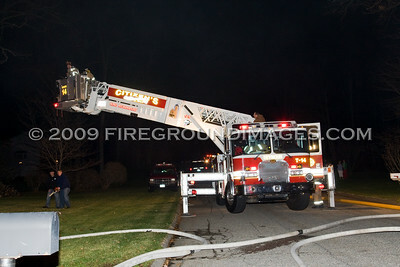 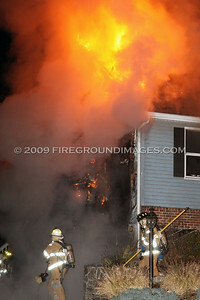 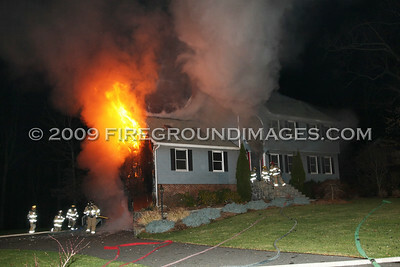 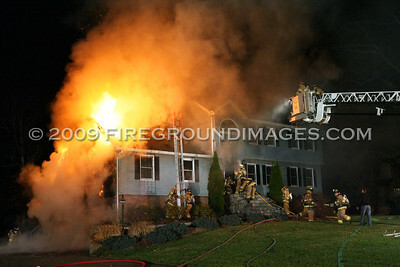 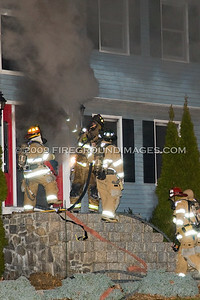 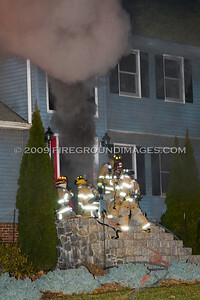 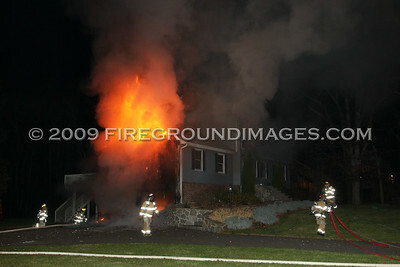 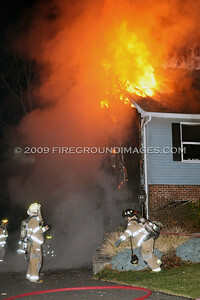 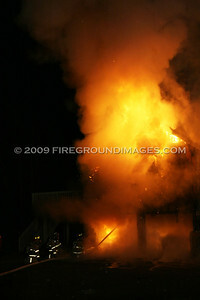 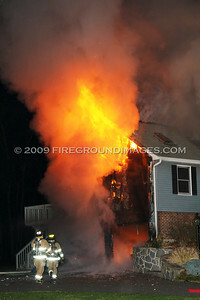 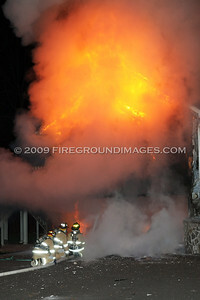 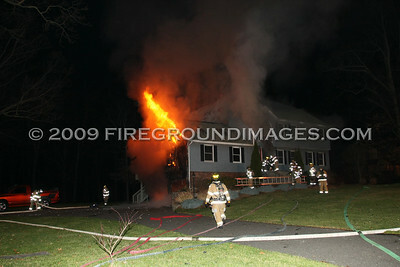 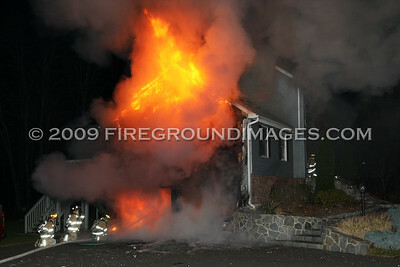 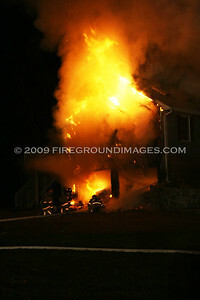 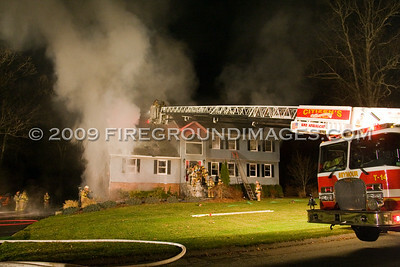 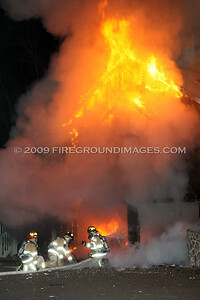 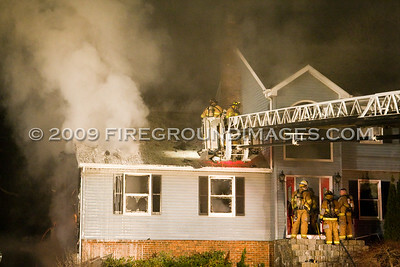 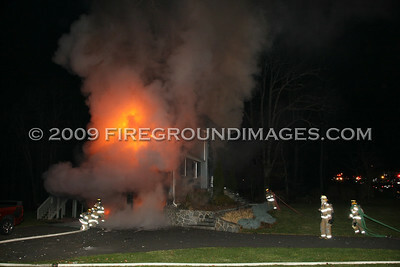 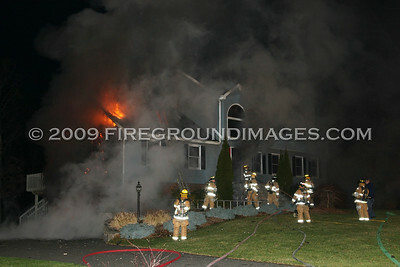 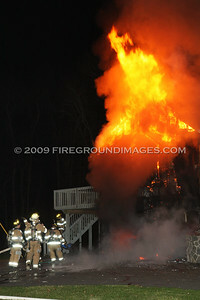 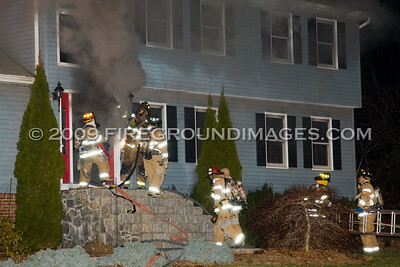 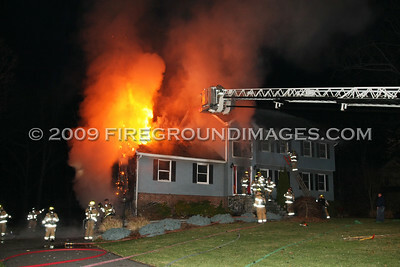 SEYMOUR, CT – At approximately 12:15am on December 5, 2009, the Seymour Fire Department was dispatched to a house on Lantern Drive for a vehicle fire in an attached garage with the possibility of extension to the house. 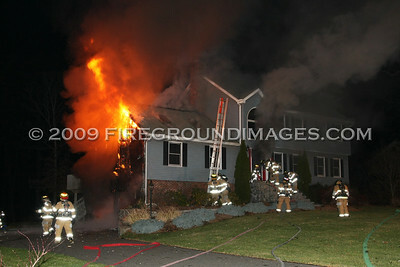 First in companies found heavy fire in the garage extending up the B-side of the structure. 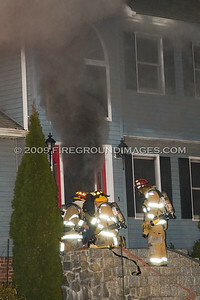 Before long, heavy smoke was pushing from most of the roof line and front door. 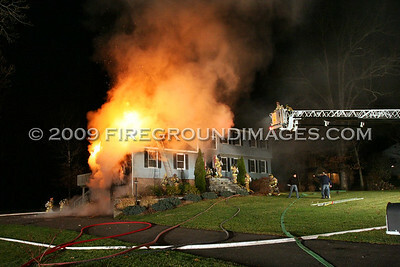 A second alarm was quickly struck due to the fact that this was a non-hydrant neighborhood and a tanker shuttle had to be commenced from a local pond. 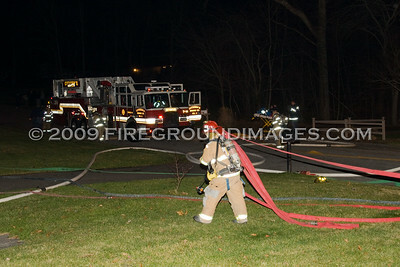 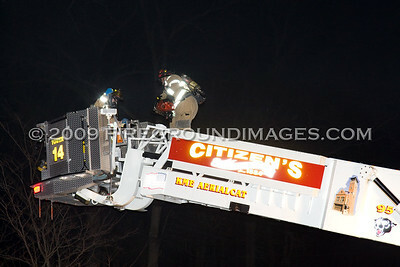 Soon after, a third alarm was struck bringing in additional tankers from surrounding towns.